Tenia Patereskou Has an Up Close Q & A with The Men Behind Spiti360 – a Company Born Out of a Crisis. 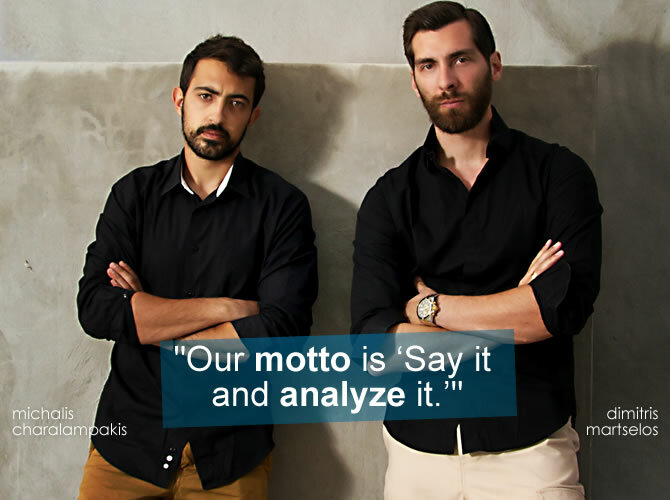 Earlier this year, Tenia Patereskou of Region Magazine had the opportunity to spend some time with two of Greece’s most interesting men – Michalis Charalampakis (age 29) and Dimitris Martselos (age 32). 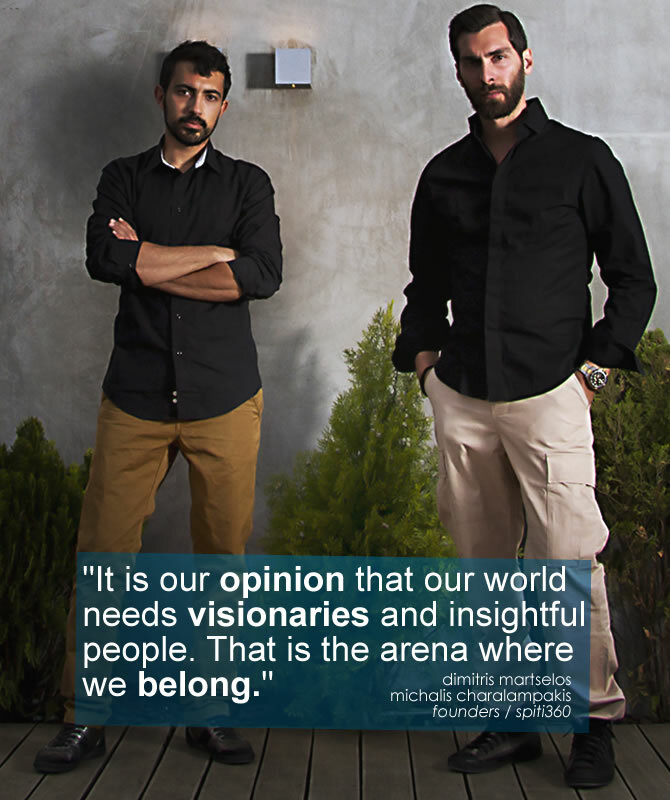 These are the two men behind a new company called Spiti360, which was birthed during a time of great economic crisis in their country, but one that is changing the way people view real estate and properties around the world. Read more about their vision, mindset and story in the Q & A the follows. TENIA: What question does Spiti360 answer and what need does it cover? SPITI360: Knowing that the economic crisis has severely affected the housing market, the purchase and rental of properties have become an extremely difficult process for everyone. Until now, the only way most people could view property was with static photos, which did not always represent the best way to view a home or an apartment that you may be looking for. However, this is a problem we have solved with the introduction of our new site Spiti360.gr. TENIA: So what can people expect to see on your website? SPITI360: With our unique way of showcasing properties using the most up-to-date technology, we are perhaps the only place on the World Wide Web that specializes in virtual real estate tours and presentations. You can always search new properties. You can also type in specific information to find the homes you may be looking for in a particular city, country or region. TENIA: What is a virtual tour? SPITI360: A Virtual Tour is a set of panoramic images linked together after processing through specialized software that allows you to cover a 360 degree angle on a horizontal axis and 180 degrees on a vertical axis. This substantially helps as you can see the entire surrounding area. TENIA: What are the advantages of a virtual tour? SPITI360: A Virtual Tour in the real estate market has many advantages. We will mention some of the most important ones that we provide: 1. The interested party (Retail – Agent) can browse and view with absolute realism throughout a property, thus reaching conclusions on whether he/she is really interested. 2. The interested party (Retail – Agent) has a comprehensive view of the property that helps them avoid unnecessary travel time and other possible issues that may arise from viewing incorrect photos. 3. The interested party (Retail – Agent) can display a property in the most realistic, modern and attractive way. 4. Scientists say that we visually perceive 70% of the information we consume. So, the quality of visual information is very important in deciding on which property is the right one for you. 5. In Virtual Tours we can include: floor plans, maps, auxiliary signals, sound effects, etc. 6. The use of virtual tours is simple and easy, and makes it possible for anyone to use. At the bottom of the page there is a navigation menu with arrows that enable you to go in whatever direction you want (right – left – up – down). It can also magnify (zoom) anywhere on the site that interests you. 7. The Virtual Tour is a proven recipe to many successful companies around the world that have adopted this technology for the promotion of their space, their services or even their products. Some of these are: Hotels, Museums, Educational Institutions, Medical Centers, Caterers, Entertainment Groups, etc. TENIA: How easy is it to navigate within your site? SPITI360: We have made navigation pretty simple. There is an easy menu for you to navigate. And because the site appeals to everyone, even older people who are not too familiar with computers find it simple and easy to use. QUESTION: How much does a listing for a property cost? SPITI360: Our rates are very competitive and reasonable. For about as much as you would pay for a two-week listing in a local, weekly newspaper, you can have your property listed in Spiti360. The difference however is, with the local newspaper, in most cases, there is no photo, while on our site, you have not only photos but panoramic, virtual photos that stay posted until the property is sold. TENIA: There is a category on Spiti360.gr called ‘Find Professionals.’ What is this category about? SPITI360: This category is for finding people who specialize in certain trades that are related to property maintenance, design, engineering, flooring, heating/cooling, etc. You can also find professional brokers, insurance companies, security agents, mortgage agents and more. TENIA: What is your motto? SPITI360: Our motto is ‘Say it and analyze it.’ Additionally, we believe that our world needs people who do not accept the establishment but who question the trite. 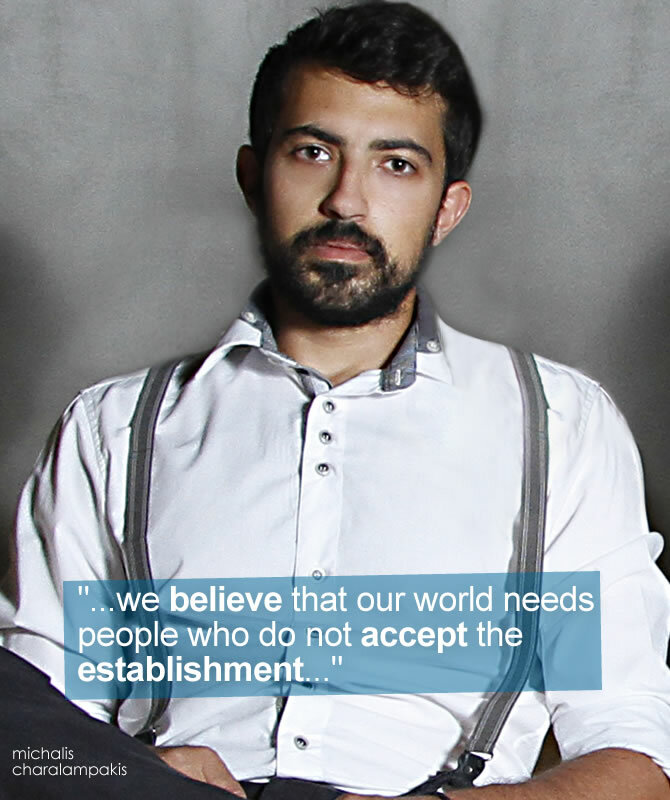 It is our opinion that our world needs visionaries and insightful people. That is the arena where we belong. 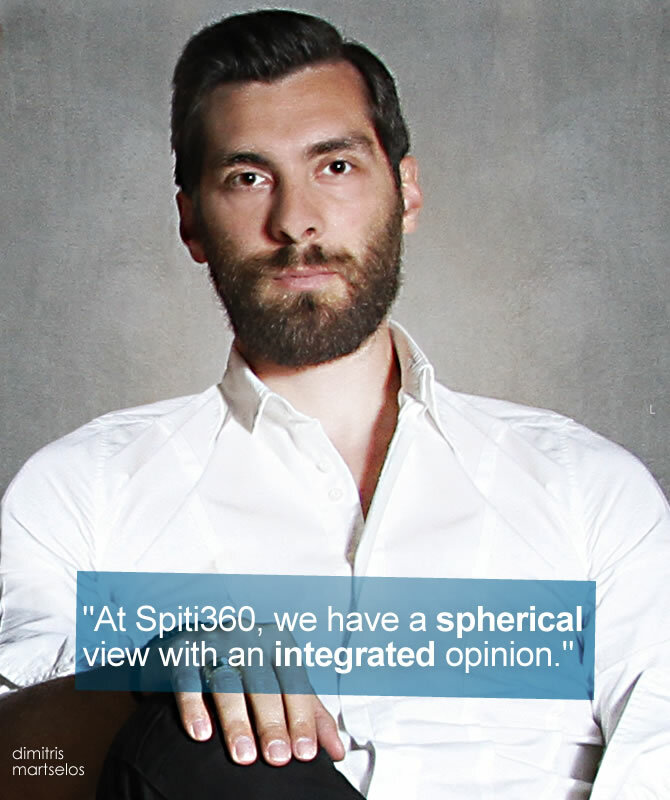 At Spiti360, we have a spherical view with an integrated opinion. TENIA: What are your future plans? SPITI360: The team of specialists at Spiti360 has set a goal to change the way people view real estate around the world. Our immediate goal is to expand into all of Greece and in the long term we desire to change the way people view and search properties worldwide. TENIA: How difficult was it, in the middle of an economic crisis, for two young men to start a business? 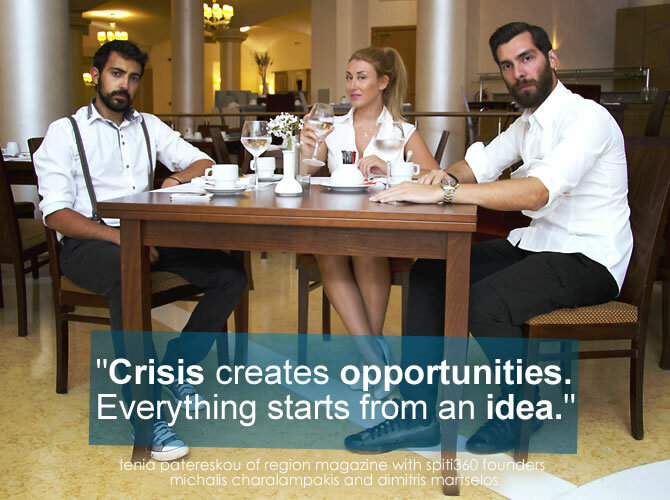 SPITI360: Crisis creates opportunities. Everything starts from an idea. You format it and little by little you implement it. If there had been no crisis in the housing market, we might not have ever thought of creating the site.